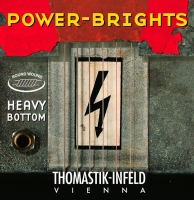 Round wound Magnecore alloy on a flexible hexcore for a bright aggressive tone, extra long sustain and reduced playing effort. 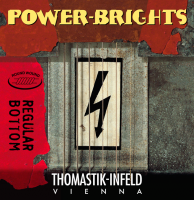 Same materials, construction and characteristics as the POWER-BRIGHTS REGULAR BOTTOM strings, but with heavier gauges towards the basses. 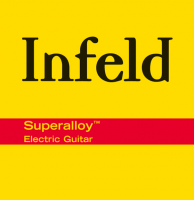 INFELD guitar strings with superalloy™ wrap wire deliver bright, cutting tone – and they measurably produce more power than other strings. Round wound nickel with a silk inlay (E, A, d) for a big “round” tone. 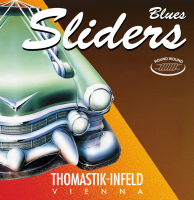 Even-order harmonics are reinforced for a smooth, velvety sound reminiscent.